Take white card paper and fold it into two. 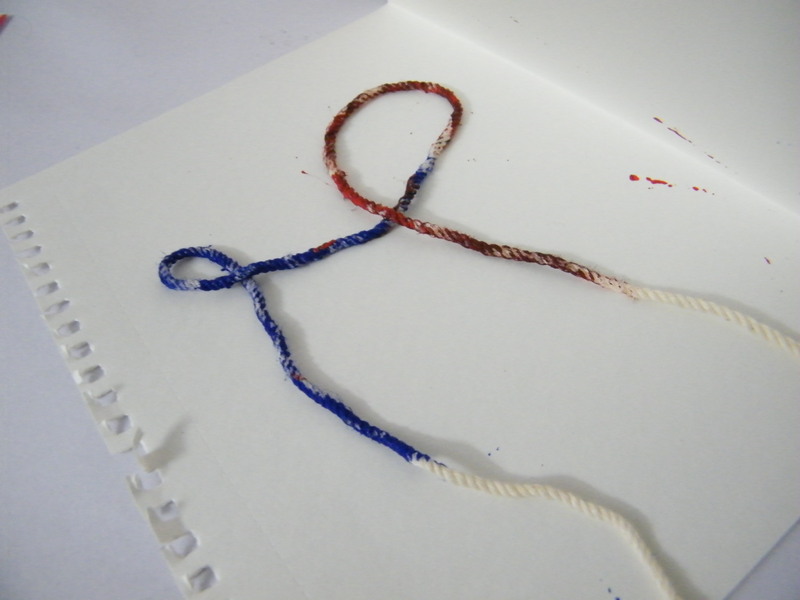 Take a piece of twine/ thread and paint it in any color you like. You can also use more than one color as done below. Make sure that the paint does not dry completely. 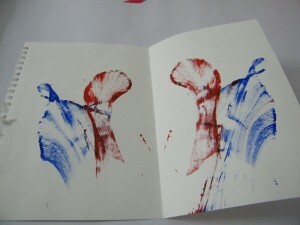 Place the wet thread/ twine between the folded card in any design you like. Leave one end of the thread coming out of the folded paper. 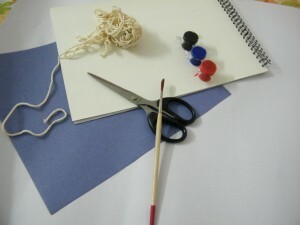 Fold the paper on it, put a book or weight on the paper to keep the 2 papers close together and pull the loose end of the thread. When you completely pull the thread out, take off the book, and open the folded paper. You will see a design like this. 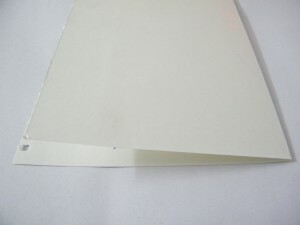 Cut off one half of the paper and glue it on a different colored folded card paper to make a greeting card. 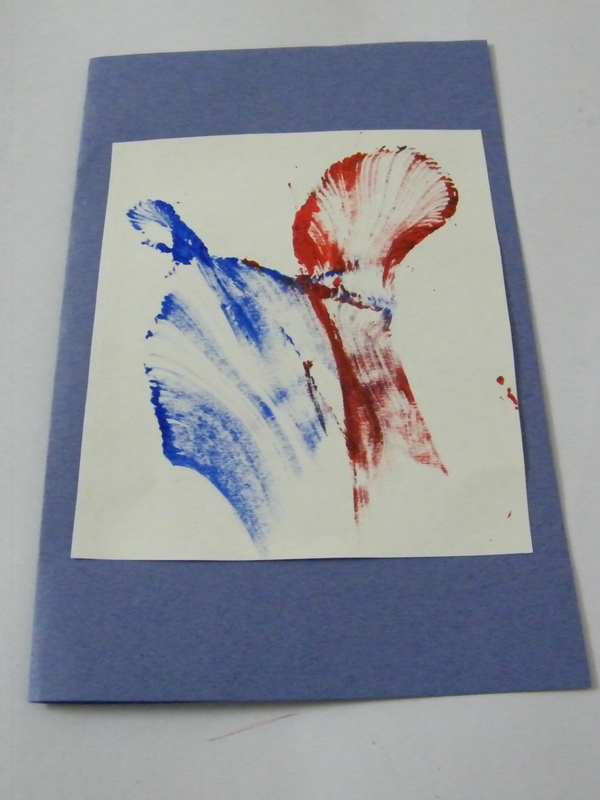 Write a special message inside and give it to someone you love. 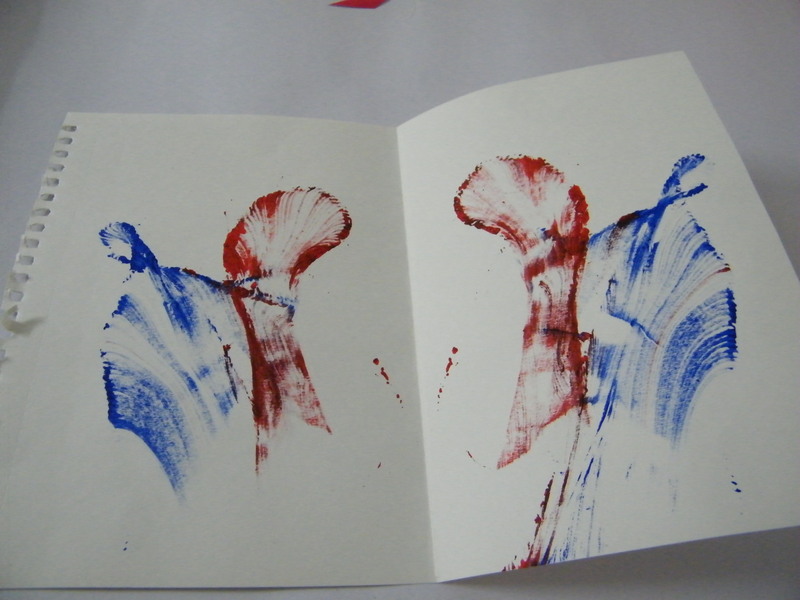 I’d love to see how neat your Thread Painting Greeting Card turned out. Take a picture of it and post it in the comments below…. I’d love to see it. 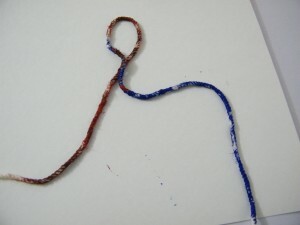 Here is our video on How to Make a Thread Painting Greeting Card .